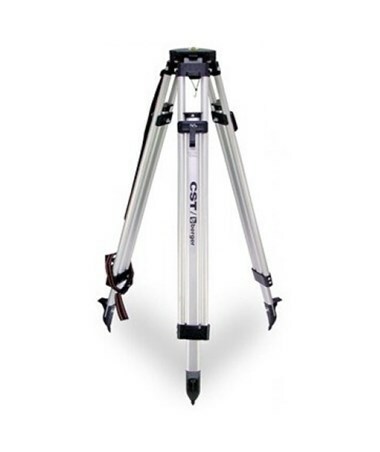 The CST/Berger Aluminum Contractor’s Tripod is a functional mounting tool ideal for supporting optical levels, lasers, and other surveying equipment. Made of aluminum, it is both durable and lightweight ensuring convenient use and long-lasting performance. It features a large, flat head with 5/8-11 threading that offers great compatibility with most instruments from different manufacturers. 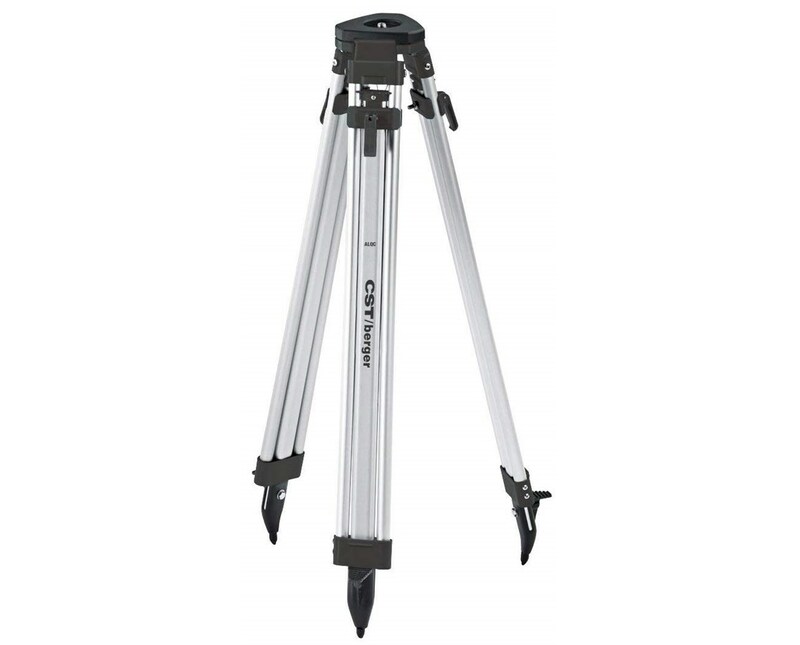 This CST/Berger contractor’s tripod is equipped with positive locking quick release clamp to allow easy height adjustments. Its legs extend up to 63 inches when in use and collapse down to 38 inches for storage and transport. 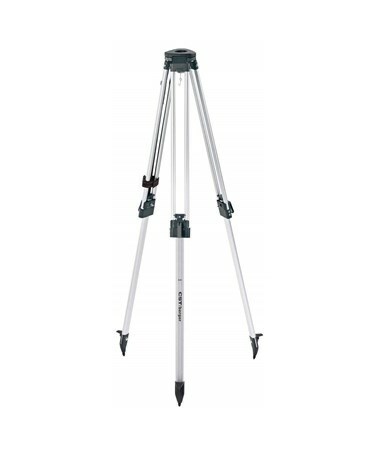 With its pointed metal feet and hinge stops that prevent the legs from slipping, this tripod is highly stable. Its shoe points are replaceable to suit all kinds of terrain. 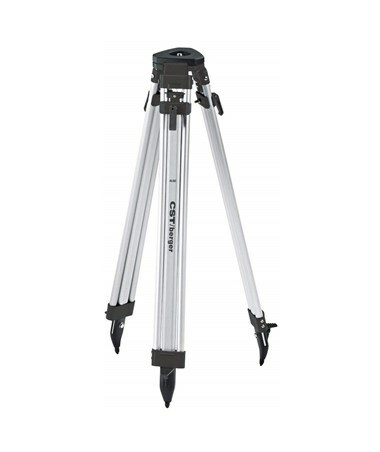 The CST/Berger Aluminum Contractor’s Tripod comes in sleek silver finish with black trimming. It includes a shoulder strap for carrying it comfortably from one jobsite to another. With a one-year limited warranty, it guarantees great service for a long period of time.